When Blockchain was introduced to me by Timothy Leonard, CTO at TMW Systems, I immediately thought of a Lego set tucked away in my son’s closet. As I listened and researched, I quickly learned that my initial analogy helped my financial mind understand a very complex technical concept. On the internet one can find various definitions for Blockchain, but from the perspective of the CFOs and financial leaders, Blockchain is a shared digital ledger spread across all business components and partnerships. Blockchain is the code that fortifies each transaction providing a safe haven for parties to conduct business without fear of breach or intrusion. Interestingly, the blocks in Blockchain have never been hacked. In the Lego illustration, when a record or Lego set is created each Lego piece to that set is placed in separate secured locations, or on individual servers over a peer-to-peer network. Only the creators who hold the keys can unlock and reassemble the blocks for record translation. Therefore, if one location happens to be breached, only the individual Lego piece not the set is discovered, which is no real value to the hacker. If one of the main driving forces behind Blockchain is its powerful lock-and-key security code, then what could be done or done better with Blockchain to supply chain? For those not familiar with a TMS system, simply put, it is an ERP system heavily customized for a variety of transportation companies. Each transportation mode such as LTL, TL, Brokerage, Refrigerated and Fuel, to name a few, have unique requirements. However, a TMS system and an ERP are very similar in that each have to enable common business actions. As in every business, a contract is negotiated, order is sent, order is fulfilled, and consideration is exchanged. The following table helps depict the sequence of business transactions and if a financial transaction record is created. This table with the traditional flow of activities hasn’t changed much over time. On the shipper side, large ERP software corporations continue to dominate the Fortune 1000 companies. On the transportation side, TMW Systems, for one, offers transportation management solutions. However, there is no dominant middle that seamlessly connects shippers and carriers. Yes, there are startups attempting to address the middle, but the current solutions are typically a standalone struggling for real integration, thus fail to gather participating density. So, how could Blockchain strengthen this middle connection and what does the future look like for a financial person? Outside of cryptocurrencies, Blockchain remains ripe for application. Ideas for application have circulated in the supply chain space for some time, but the business case remains allusive as Blockchain requires a family, or as previously mentioned a density of participants. There are over 5,000 transportation companies in the US alone, and wooing those companies who are typically late adopters of technology to embrace a new business dynamic may be a hard sell in Silicon Valley. Now the interesting part for the financial reader. So, let’s fast forward the industry five years and assume a Blockchain solution is fully deployed with thousands of active shippers and transportation companies. I expect one possibly two supply chain ledgers will dominate the market. I also expect there may be private ledgers that will connect peripherally. For this illustration, let’s assume there is one ledger and call it the T-Ledger. One must first realize the T-Ledger is no longer a hosted solution in a centralized location. The T-Ledger is decentralized to the degree that my financial backbone shivers to think that one or part of my transaction may reside fully secured in a peer-to-peer server not under my control. I immediately ask myself how this is auditable and what kind of controls are required to ensure this transaction remains a transaction in its original state? As I better understand how the T-Ledger works, my financial nerves are again turned upside down when I realize that I’m not required to reconcile a bank account. 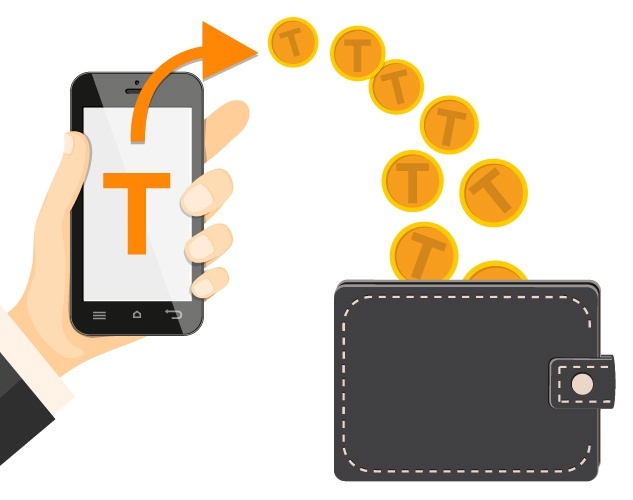 I discover T-Coin, a cryptocurrency that is managed within my secure wallet. Similar to the Bitcoin, the T-Coin is tied to the market and fluctuates like stock does on the stock exchange. T-Coin is used within the T-Ledger family for consideration between shippers and movers, but also can be traded creating a gain or loss. Also, as members join the T-Ledger family an initiation fee is shared among the members. So, how does a CFO sign off on financials in the black-and-white world defined by debits and credits? Not to panic for as the US accounting world adjusted to ASC 606, so will we. The good news for accountants is that I don’t see the accounting rules changing for debits and credits, but I do anticipate a significant change on how tests are performed. I also anticipate over 10 years, the financial systems will consolidate more and take on a completely different engine while keeping the same user interface. The Blockchain revolution has started, and if you’re a financial person, you’ll need to keep pace. The pace is slow now, but it’s starting to accelerate - and coming to the transportation industry soon.